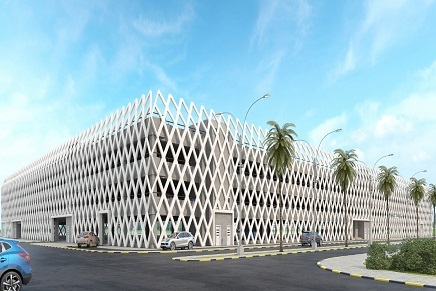 1) Car parking on 5 multi-stories levels building of 1700 parks capacity. 2) Room areas for the Administration, Maintenance, Storage, Monitoring and Control. 3) Four locations of elevators each consists of two elevators.